Nowadays, people spend hours online, and most of the time they watch videos, movies and TV shows. The thing is, as some point, every user wants to download these videos to their computer or their mobile device. And there are a lot of reasons to do it: to watch it offline, to burn it on a DVD, to archive it, or to convert it to an audio file. To do all of these is not that complicated. The web is full of video downloaders and converters, and all you have to do is to find your favorite video. These programs will take care of the rest. But with so many options, how can a user find the best program? We gathered here the 5 best all-in-one video downloader and converter for Mac and Windows. Most probably iTube Studio for Mac is the best program available on the web, which will help you download and convert videos on Mac (including macOS 10.14 Mojave) or Windows. The program is incredible fast, and it will download your favorite videos from a wide range of video sharing sites. You can even save YouTube to MP3 or download the whole YouTube playlist or channel with only one click. It supports a variety of video and audio formats as well as dozens of presets for mobile devices. The conversion process is also easy, so all you have to do is to find the videos you need and click the Download and Convert buttons. Are you ready to try iTube Studio for Mac, all-in-one downloader and converter for videos? 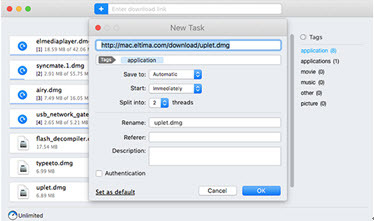 Here are some instructions: With one click, download the program from iskysoft.com and follow the installation instruction to install iTube Studio on your Mac. Start your browser and go to any video streaming website. Access your favorite video. You will notice a Download button on the top left corner of the video when you play it. Click on the Download button and choose the video resolution. The program will immediately download the video for you. iTube Stuido for Mac supports downloading videos in batches. Click the Downloaded tab to access the videos that have been downloaded. To play the video with the built-in media player, you simply need to double click on the video thumbnail. If you want to convert the videos to other media formats, you can click the Convert button and choose any format you like from the pop-up window. The program also offers dozens of presets for your mobile devices. After you have chosen a suitable format, you can click OK to start the conversion. This is another program that allows you to download and convert videos. It can convert videos to many formats; it allows you to download videos from YouTube and other websites, and even to edit those videos. It works on any type of device, and it is quite fast. We like it because it doesn’t change the quality of the videos. 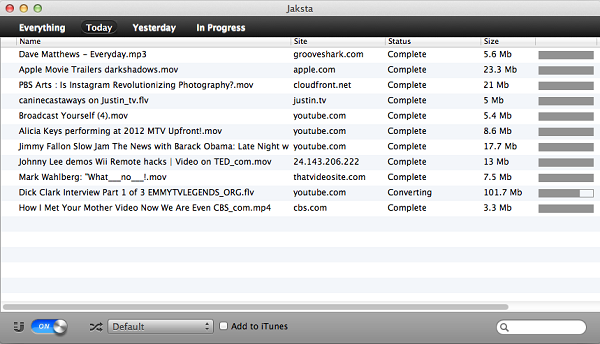 If you are looking for a professional downloader and converter for Mac, you can try Jaksta Media Recorder. It can download videos from YouTube and many other websites, it is quite fast, and it can convert videos to any file format. The only problem with it is that it is quite pricy! iFunia YouTube Converter for Mac is another good video downloader and converter that will help you get all the videos you want. It accepts any format and resolution, and it can convert the videos to various popular formats. 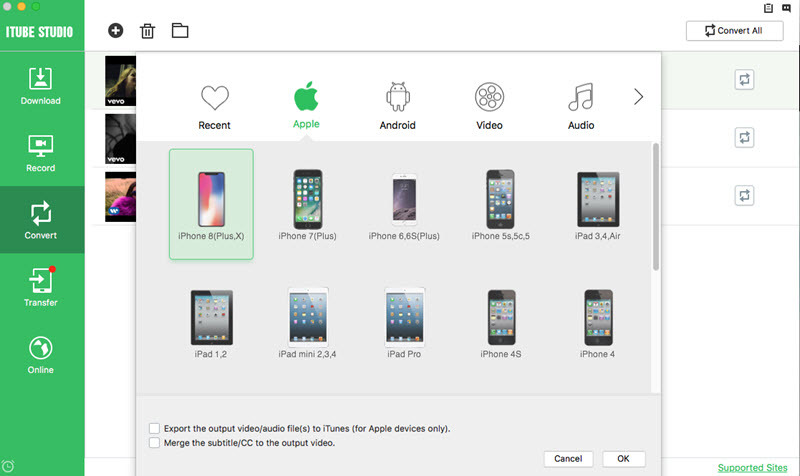 You can also use it to convert your videos to format optimized for Apple devices, including iPhone, iPad, and iPod touch. 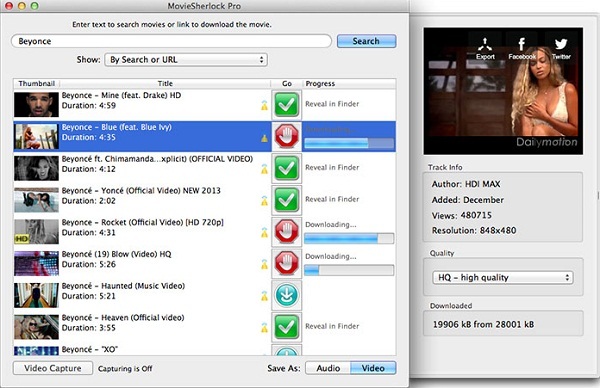 The last video downloader and convert, MovieSherlock for Mac, is a great tool for users who want a friendly, funny interface. Fast enough, this program will download all the videos in a smooth way, with no quality loss. It allows simultaneous downloads, and hides all the YouTube ads.